Well it looks as though Christmas is coming to Dragon’s Gap whether dragons celebrate it or not. So how much fun can happen with dragons who have no idea what is involved in Christmas. 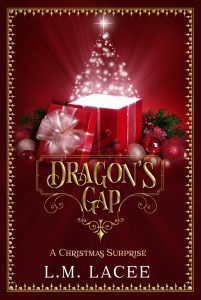 Join the Dragon Lord and his family and friends and find out how much love, laughter and trouble the people of Dragon’s Gap can get into while they learn to celebrate Christmas. Sage had spent the better part of the last two days explaining Christmas to Reighn with movies and books, he had not been impressed until she pulled out the big guns by saying how it would be their first Christmas as a family, then she had him read a Christmas story to Molly and Ava who had become excited about Santa visiting them. She had then explained how much his daughters would love Christmas with their new family, all the family. He seemed to embrace the idea once she assured him all his brothers would have to participate in the holiday as well.